A record 76 academics -- four of them alumni of the Social Science Bites podcast series here at Social Science Space -- have been elected as fellows of the British Academy in recognition of their achievements in the humanities and social sciences. Ben Johnson posits that frequently asked questions concerning open access implementation for particular disciplines arise from an incomplete conception of the nature of openness that neglects one vital component: connection. 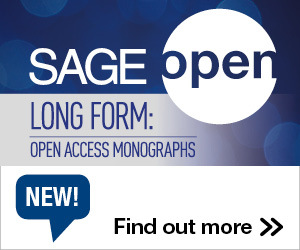 Monographs are an intrinsically important mode of academic production and must not be sacrificed on the altar of open access, argues Nigel Vincent in Debating Open Access, a new publication from the British Academy. Quantitative Skills (QS) can make you highly employable across many industries. Find out from these two entrepreneurs how their QS helped them succeed in the private sector. An open letter was published online calling for social science and humanities research to be integrated into the new European Framework. Professor Milena Zic-Fuchs spoke to socialsciencespace about the reasons for the open letter and the reaction that it has received.